"Coach GRuf has a unique quality about him that allows him to combine science with softball/baseball and apply tested theory's to practices. One of his many strengths is the ability to break down the weaknesses of an athlete and take corrective actions to improve on his or her shortcomings. He simply makes you a better player." Dad: "I have been a softball coach now for 8 years. My oldest daughter now 15 and my youngest 12, they have been both coming to Coach Ruf for the last 5 years. I can not thank you enough for all your hard work with both of my daughters. Your great instruction and philosophy in teaching softball has been a great contributor to their success and love for the game. I can't thank you enough!" Yougster: I have been playing softball as far back as I can remember. I started going to Coach Ruf two years ago and my hitting has improved drastically. He has taught me many things about the game and about the fundamentals that go into the game. He is a great teacher and is so funny and he is so fun to be around. I've known GRuf for 15 years and I will never forget our first encounter as it happened while I was coaching his oldest daughter. After speaking with him a few minutes, I knew that he had probably forgotten more about softball than I was likely to ever know. Since then, I have had the privilege of getting to know him very well and have coached alongside him on various teams. George is a lifelong student of the game and that is one of the elements that makes him a wonderful teacher. Whether it is pitching, batting, base running, or any of the other fundamenatals, George finds the most creative and innovative ways of teaching the skills to young players. If a player truly desires to improve and is willing to listen and apply the lessons that George teaches, there is no telling how much they will accomplish in the game of softball. What strikes me most about George is his sincere caring for each of his players and his desire to see them succeed. Although I was not lucky enough to personally play for a team led by Coach Ruf, I’ve gone to him for years to hone my batting and slapping skills. He has a unique ability to break your swing down and help you to realize what you can improve on, so that you will learn to self-correct your mechanics outside of lessons and make adjustments during games. He communicates new concepts and drills at a high level in a way that you will remember. To this day, I still hear “George-isms” in my head during batting practices when I’m working on something that he has taught me before. Working with Coach Ruf provides you with an innovative, enthusiastic, and focused environment to improve overall as a player and as a person. Highly recommended for anyone who wants to get better and isn’t afraid to work hard along the way. Coach George has been great to work with. 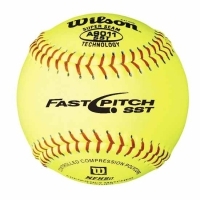 My 10 year old daughter had developed a fear of the ball in fastpitch softball and literally went through the spring and fall ball seasons without getting a hit and rarely even making contact with the ball, both during games and during practice with coach pitch. Additionally, she had issues with looking up during the swing and dropping the head of the bat when she started her swing. 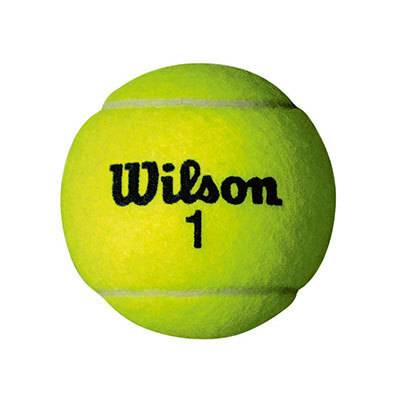 Coach George managed to work with her through several coaching sessions to help her get over the fear of the ball and corrected the other issues. She started making contact with the ball, both in the batting cage and on the field. After a few weeks, though, something changed in her swing and she was completely missing every pitch. Coach George watched her closely and saw that she was swinging up when the ball was coming down. He worked with her through some interesting techniques to develop muscle memory and eliminate the upswing. Soon after, my daughter was making contact again and managed to make contact on 126 consecutive pitches in the batting cage! We continue to go to Coach George on a regular basis. Besides batting, he teaches a complete game and we've gotten additional instruction on catcher's techniques, fielding and throwing. Coach George does a great job and makes it fun for the kids. My daughter and I highly recommend him! My daughter has been going to Coach Ruf for the past 4 years and it has been nothing but amazing. Coach Ruf was lucky enough to teach my daughter before she really had any bad habits to break. She was a late bloomer in playing softball starting in 7th grade and most kids she played with had been playing since they were 5 or 6, but with going to Coach Ruf for the past 4 years she has grown so much and exceeded my expectations. She is always in the top 3 of batting averages on every Travel Team she plays and has an amazing swing. His love for the sport is so enjoyable. His techniques and philosophy is what helps them to remember what they need to do and when. He is always teaching something different. He shares every bit of knowledge not just related to hitting, but all aspects of the game. He wants them to succeed. He has even taken the time, if possible to catch a game to see how she is doing and if he needs to work on anything with her. If you have a child that is willing to listen, make changes and work hard, then Coach Ruf is the right choice. He cares about our kids and their success, it’s not about the money to him, it’s about how successful the kids can be that love the sport as much as he does. Their success is his success. My son plays on a little league and travel baseball team. In addition to team coaches, he had been working a hitting coach for a year before we contacted Coach Ruf. All coaching before Coach Ruf focused on the basic routines of hitting drills (soft toss, hitting T's, and some live pitching). The focus was on repetition and there was very little discussion about hitting mechanics. At first, I was a little concerned that Coach Ruf was so heavily involved with Softball, but we gave him a try anyway. I quickly learned that his methods and approach works for any type of swing. We started with George in September and worked to the end of March (seven months) where he broke my son's swing down into its different components. Each week he'd work on different parts and explained things in a way that my son could understand Some weeks were pretty frustrating, but my son stuck with it and listened to what Coach Ruf was teaching him. But over the course of the winter, he started putting the different pieces together. His comprehensive approach has increased my son's confidence at the plate, and it showed in the first tournament of the season where he hit 6 for 8. In addition to being an expert at hitting, George is a great guy and my son likes working with him. I do not believe my son would be anywhere near where he is today without Coach Ruf and we're looking forward to getting back to work in September again.